We are all eagerly awaiting Bungie’s upcoming game, Destiny. You should probably pre-order it since the betas for both the PlayStation and Xbox platform are expected to start soon. Don’t miss out. And if you do pre-order, you might want to grab one of the limited edition versions of game or special editions. Thankfully, Bungie and Activision have revealed the limited edition and collector’s Ghost edition of the game. Both versions will give gamers access to the Destiny Expansion Pass, which is the game’s first two downloadable expansion packs valued at $34.99 by themselves. The expansion packs are $19.99 individually, so you can save some money by buying one of these bundles, which is always good. The limited edition will be priced at $99.99 while the Ghost edition is $149.99. 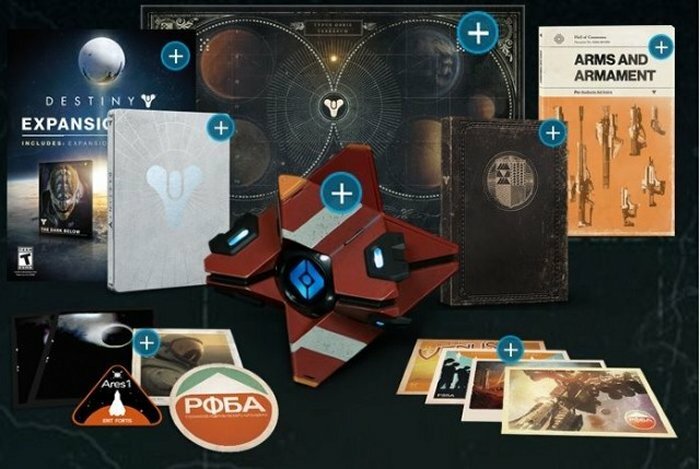 You’ll get the Destiny Expansion Pass, the game disc itself, a SteelBook case, and exclusive in-game items. There are also real-world items like a field guide, a star chart, and postcards. Not bad for the money. The Ghost edition will come with a Ghost replica with motion-activated lights, as well as the voice of actor Peter Dinklage. There is also a letter of introduction and “golden age” relics like photos, stickers, and a patch. Which will you choose? Both sound awesome.